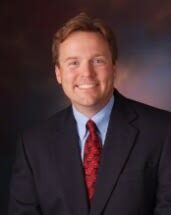 Derek Brocklebank has been in private practice in the Canandaigua area since 1998 representing clients from Ontario, Monroe, Seneca, Wayne and Yates Counties. He served as General Counsel to the Town of Canandaigua from 1998 to early 2008 representing the Town in a number of high profile litigation cases, as well as providing counsel to the Town Board, Planning Board, and Zoning Board of Appeals regarding land use development, local laws, zoning regulations, environmental reviews, and tax assessment cases. Mr. Brocklebank has enjoyed a wide and varied private practice representing a vast array of clients in practice areas as diverse as the clients that the firm serves. He has a broad range of experience that offers clients immediate access to a breadth of legal services. Mr. Brocklebank provides representation for customary needs such as buying or selling a home, estate planning, business/corporate law, and finance transactions, to representation in the exceptional circumstances of personal injury and other litigation matters. He has also represented clients on appeals to the Appellate Division of the Supreme Court, Fourth Department. Born and raised in Canandaigua, Mr. Brocklebank is dedicated to providing quality legal services to the members of the community.